Clinical studies using high doses of the omega-3 fatty acid EPA have shown beneficial effects in improving joint health, maintaining joint mobility and relieving arthritis pain. 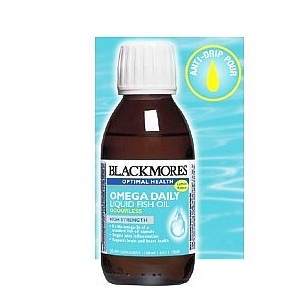 Blackmores PROMEGA™ Joint is formulated with highly concentrated omega-3s, providing a convenient proactive solution to support joint health and relieve arthritis pain. Blackmores PROMEGA™ Joint contains high quality EPAX™ concentrated imega-3 fatty acids made from an exclusive purification process to ensure the highest quality and purity.